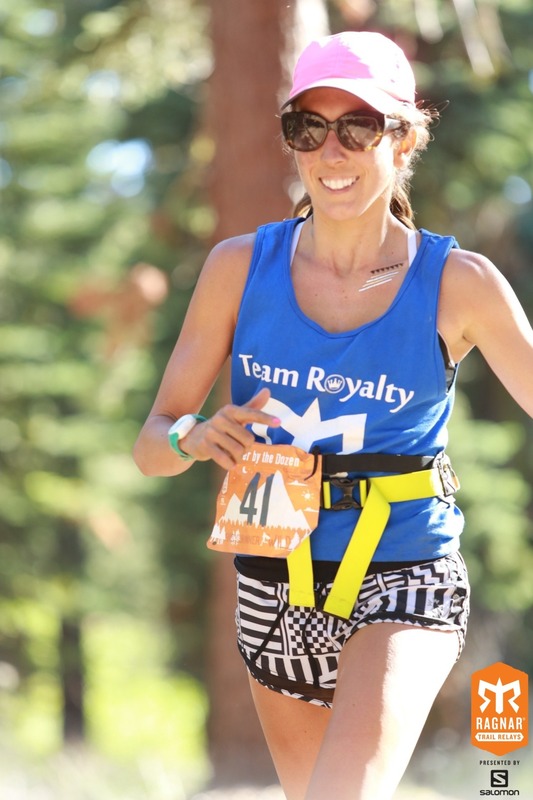 The Ragnar Trail Relay took place on August 14-15, 2015 in the area of Lake Tahoe / Truckee called Soda Springs. For those unfamiliar with the area, Soda Springs is the longest running ski resort in California and was a great venue for this twenty-four hour long trail race and the thousands of participants who had registered to experience. 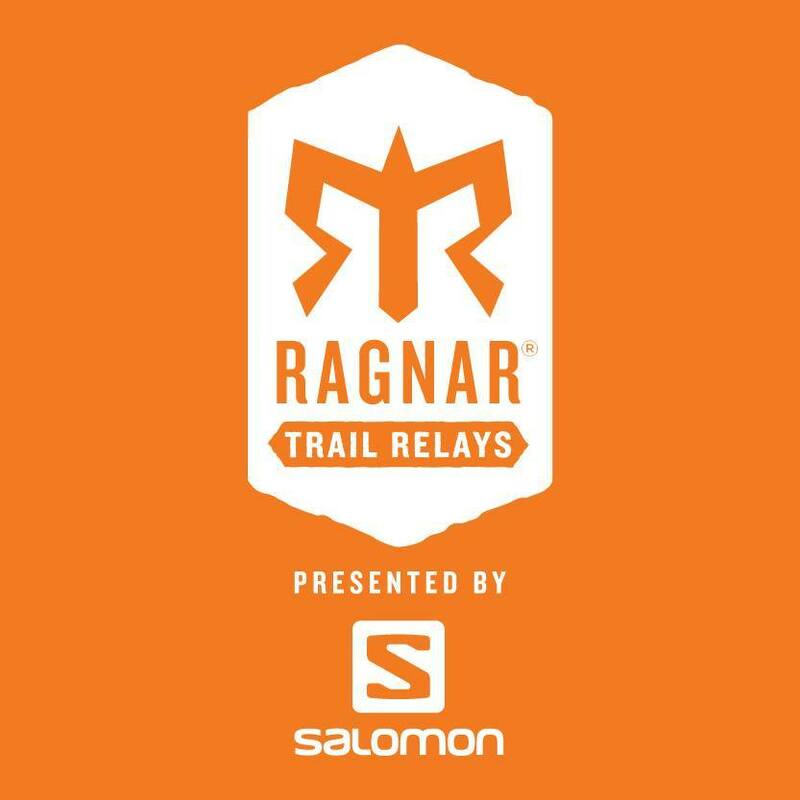 Before we discuss the event in Tahoe, it’s important to understand the nature of the Ragnar Trail event and how it works. This is by no means your every day 5k with a few friends. This is an all out event of the senses that would be hard to replicate or experience anywhere else. This is also why it is a great event to get you out of your comfort zone and push you to do something most, if not all, your friends would consider crazy – unless they were with you that is. The Ragnar Trail Relay is a gritty trifecta of the most scenic trail loops Mother Nature can serve up. Each trail loop begins and ends at Ragnar Village™. Teams will run relay style, rotating through all three loops. Take everything that makes Ragnar special, mix in incredibly scenic dirt trails, bonfires, s’mores, and camping with your team. 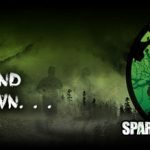 Teams consist of 8 or 4 runners and will run a total of 120 miles. The race takes an average of 22 hours to complete. Teams will begin in staggered start times between 10 am and 7 pm on the Friday. 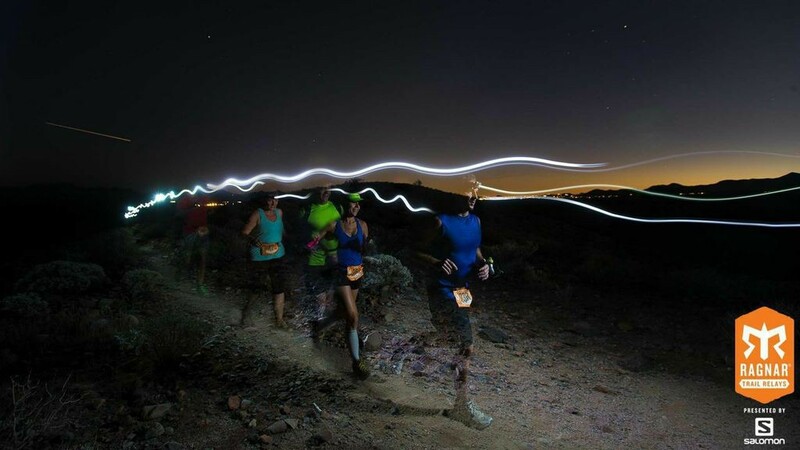 You will run with your team through the night under a star-lit sky. Teams will finish on Saturday between 9 am and 4 pm. When you’re not running, you’ll be busy cheering on your teammates and soaking up the party atmosphere at Ragnar Village! 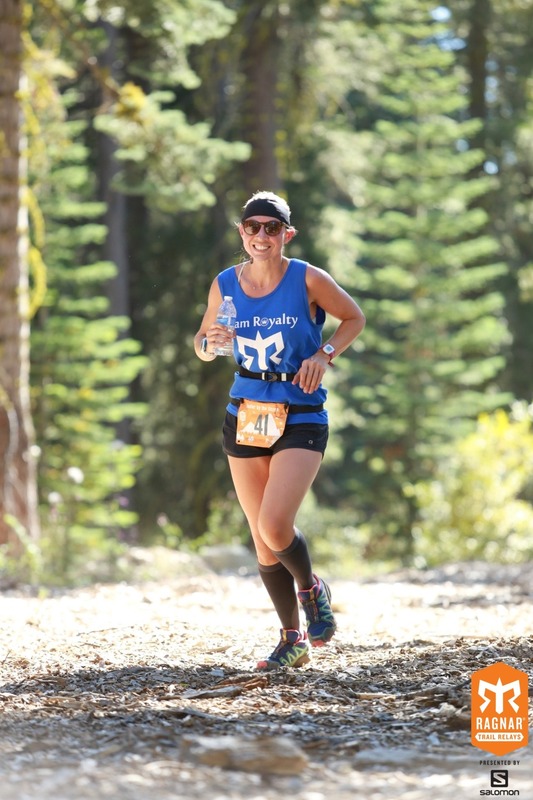 In essence, as part of a regular team, you and eight of your friends will run 3 different length legs in the scenic hills of the Sierra Nevada Mountain Range. 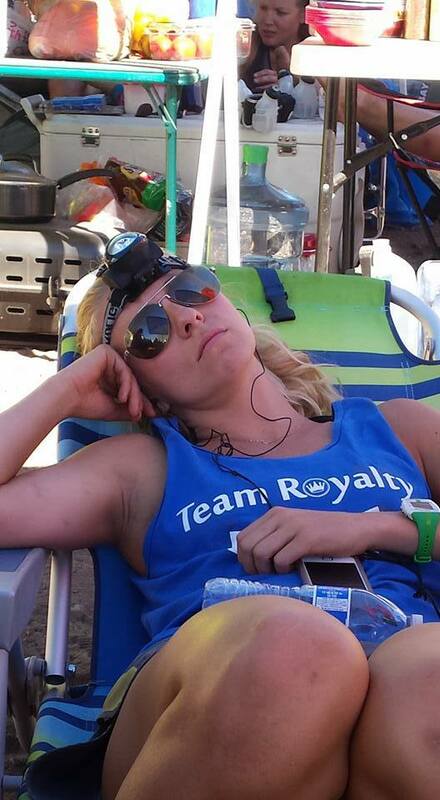 Think of it as running three races of different lengths within 24 hours with time to cheer, party, or nap in-between. Not hooked yet, well there is more – read on. · Food (Friday night dinner, lunch on Friday/Saturday & breakfast on Saturday. · Blender Bean will be selling smoothies. Thursday evening was a quiet affair as only a handful of teams took advantage of the early arrival. 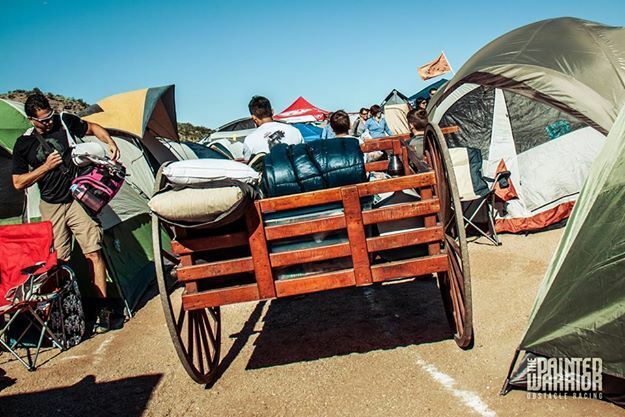 In doing so, teams were required to drop off their gear in the main parking lot and use the provided man powered carts to move their gear to their site. Depending on the amount of gear a team had, this was a rude introduction to the effects of altitude, as every step taken to move the heavily load required a deep, deep breath. Because the check-in was at 4pm, the volley of cars and carts was quick and almost as soon as you had your tent up, night had fallen. Because of the small number of teams present, the night was quiet and racers got their last good night sleep before the event. As Friday morning drew on and all of the teams were settled, the atmosphere turned from quiet mountain retreat to serious nervous buzzing. Teams were called to the starting line as early as noon (based on their expected finish times) and before long, the race had begun. Some of the teams with later start times were still arriving as many racers were under way, but the race still went on. When the announcer called starting times, whole teams, many in some type of team apparel, could be seen marching to the starting line. This was a testament to the commodorie that existed throughout the entire event; especially true seeing as only one of the eight was about to run. Team upon team could be found waiting at the starting / finish line (one in the same) cheering for their runners. The scene was a wash of color from team shirts and costumes. Team Royalty (Faster by the dozen in the records) made their way to the starting line for a 4pm start. By this time, most all of the teams had already started and some were many laps into their race. Team Royalty was easily recognized by their matching tank tops and shirts that they wore throughout the event. The team of eight started out with a bang, sending their first runner off onto the unknown Green Loop (Pallidade Peak Trail), a 3.2 mile loop. Upon their return, the team’s second runner headed off on the Yellow Loop (Summit Valley View Trail), a 5.6 mile loop. And finally the team’s third runner took off on the Red Loop (Razorback Ridge Trail), a 7.1 mile loop. The Green Loop takes you on a jaunt through the forest on double-track logging roads. Your footfall will be padded by bark chips, the birds will be chirping, and there will be a slight breeze. You will be happy. After a mile and a half you jump on a fun single-track that twists and turns through the trees. As you navigate the trail, you will catch a brief glimpse through the trees of the Yellow and Red Loop. After mile two the Yellow Loop joins the fun and runs into the Red Loop that signals you are almost back to the Village. Even though this is the easy loop the first half takes you on a nice gradual climb. Yellow Loop leaves the Village with the Red Loop on a mostly flat double-track for half of a mile before turning into a single-track trail and the climb begins. The climb is short but it will get those quads burning and the payoff is worth the effort. Near mile one the trail crests a ridgeline with great views. Look left for a view of Lake Van Norden, right for a view of Ice Lakes, and straight ahead for a view of Donner Pass. Get the pictures out of the way and then get moving, because you can fly down the next two miles of flowing single-track fun. 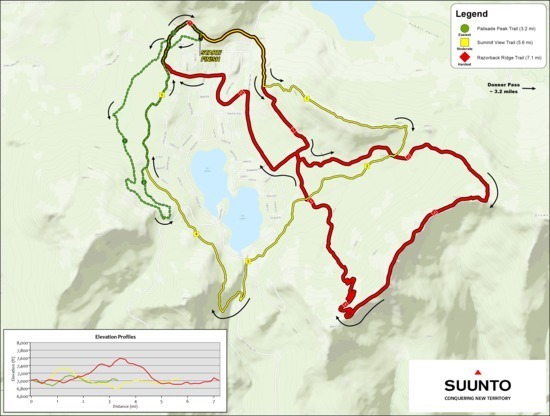 In this section you will cross the Red Loop twice, the first time the Red Loop runners are headed uphill, the second time they are headed down, probably with an awestruck smile plastered on their face. At mile three the Yellow Loop pops out of the trees and onto a dirt road that parallels the effluent creek from Ice Lakes. A right turn, over a bridge, and one more steep climb and a little more climbing and then you will cost the final two miles back to the Ragnar Village. This is one of our favorite trails of the Ragnar Trail Series. It starts out easy enough, running alongside with the Yellow Loop on double-track and then after half presses onto a great single-track that meanders through old growth pines covered in neon green moss. This section begins mellow and gets steeper and steeper until you crest the ridgeline. The view will leave you speechless, that is, if you weren’t already out of breath from the climb up to 7,500 feet. The next mile of running is exhilarating as the trail dances along the ridgeline with 360-degree views of the Sierras. One steep final climb awaits you that takes you just below Rowton Peak where you undoubtedly will want to take a picture – heck this is trail running! The next three miles will go by quickly but your mind and soul will not soon forget the view from Razorback Ridge. With the data (lap description and actual pace times vs. normal pace) in from the team’s first runners, the team was able to start to strategize how fast the rest of the runners would run each of the loops. This was important information to collect as it would be critical to assuring time was not lost during the transition. Transitions occur when a runner is finishing their loop and handing off the team bib (number and timing chip) to the next runner up. Not having a runner on the ready would be wasted time; so knowing the teams pace made sure that transitions in the transition tent went well – more on that later. With a 4pm start time, it wasn’t long before the teams 5th runner left the starting line with a head lamp and their 6th runner was running the first loop in darkness. At this point the first runners were beginning to realize they would be running in the dark and into the wee hours of the night. Some teammates continued to hang out while other chose to take a quick nap while they could. The estimated paces of each runner was calculated, and the team’s runners continued to come in on mark. This make transiting easy for the team, but not all teams. Many teams were slowing down as this point and paces were beginning to waver. The last .10 of a mile triggered your team name to appear on the display at the starting line; signaling to your team that a runner was coming in. Unfortunately some teams didn’t have a runner standing by and precious time was lost. The goal at this point was to anticipate when a runner would be back – warm-up while looking that the board in anticipation of your runners arrival. Once they were listed on the board, you could enter the starting / finishing tent. Colored carpets were laid out to help with the transition. For example, if a runner cam in off the Green Loop, they would enter onto the green carpet and their next runner would be standing on a yellow carpet, reminding them they were to run the Yellow Loop. Colored slap bracelets also helped to remind you of what loop you were on in case you forgot. Remember, after being active for hours, sometimes the mind forgets the simplest things. As night took hold of the village, the size of the crowd diminished but support was always present. 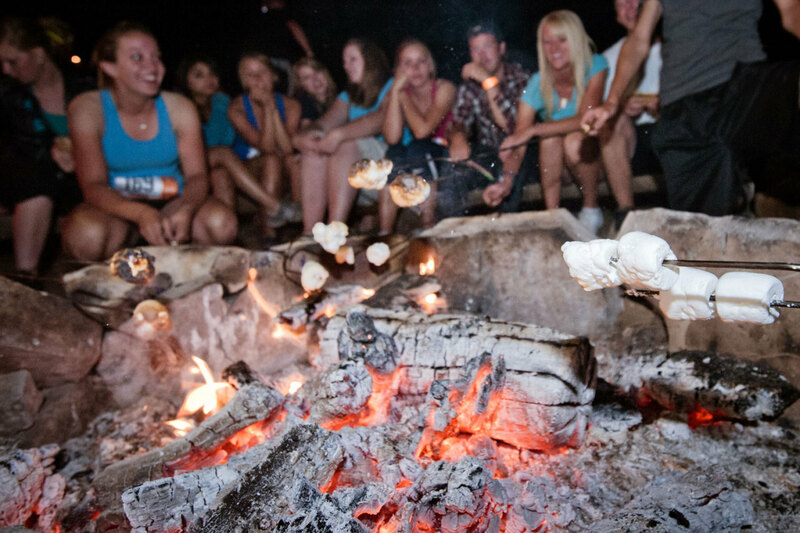 Typically at Ragnar events, many of the teams huddle around the fire pit and sing songs and play guitar as their teammates are off running. Due to the extreme fire danger this year in California and the lack of water, the fire pit was reduced to a series of charcoal warming pits – which didn’t hold the same attraction the fire pits do. 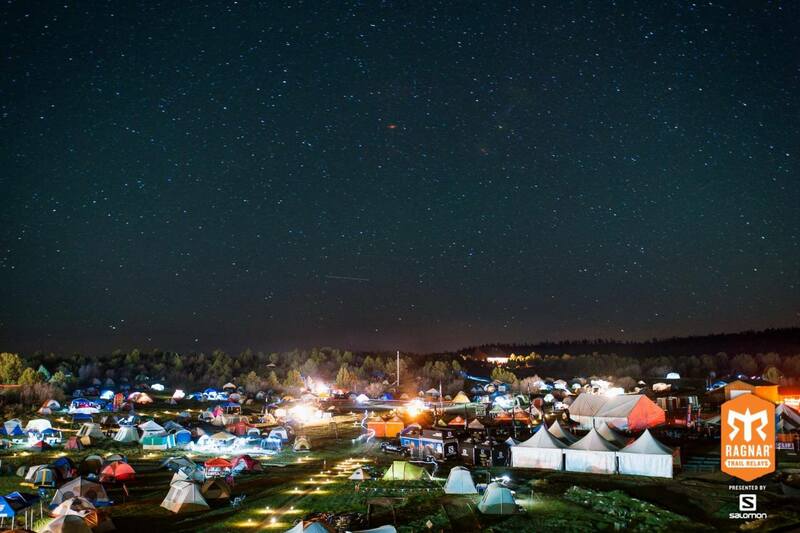 As a result, most campers returned to their tents rather than hand out at the small and not-so-warm pits. Still, this did not detract from the event as a whole. 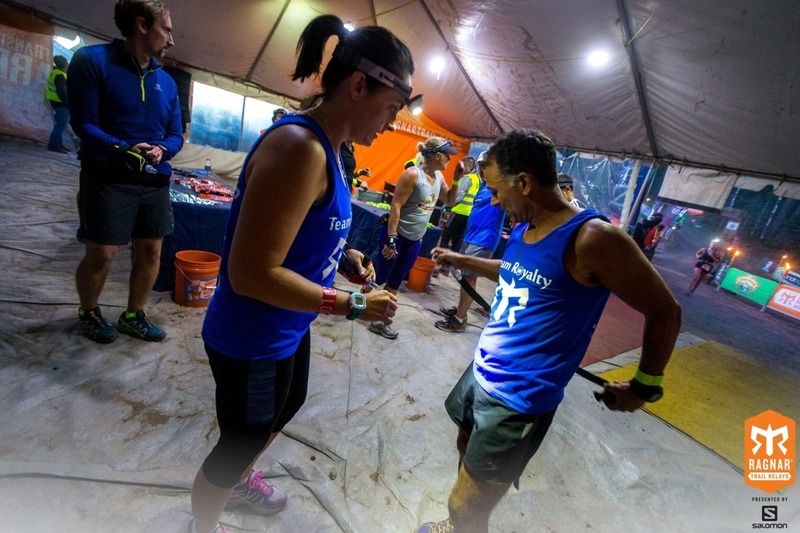 As runners transitioned in and out of the tent, it was if a play began, titled “The Dance of the Firefly.” The color and costumes of the teams faded to the dark of night and all that could be seen was the dancing light in their hand or atop their head. The dance was only going to last a short time as the sun was preparing to rise. During the early morning hours, it was clear that not all teams had fared well during the night. An announcer called out team numbers and held a meeting of those teams. Apparently more than half of the participating teams were not on pace to make the 4pm cut-off. As a result, many teams were sent out with two runners at a time to help make up for time that did not exist. Fortunately Team Royalty was still on pace and actually starting to be recognized by other teams. With little to no sleep, the final runners pushed through the finish line and into the arms of their teammates who celebrated not only the success of their team but the end of 24 hours or more of racing. Their medal was a reminder of what they accomplished – 120 miles and nearly 20,000 feet of climbing. Ragnar did a great job of managing the entire event. The grounds were always kept clean, updates were always available, coffee flowed freely, and bathrooms were always presentable – in lieu of the sheer volume of participants. The event was well run, staff was always friendly and helpful. The course was well marked, even more so at night as the lights were visible at a longer distance than the sign was during the day. The course was well selected – diverse and challenging. 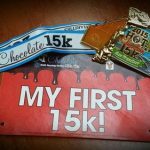 The staggered starting times made it so you would come across runners on the course but there were many times, most of the time, when you were alone and not obstructed. 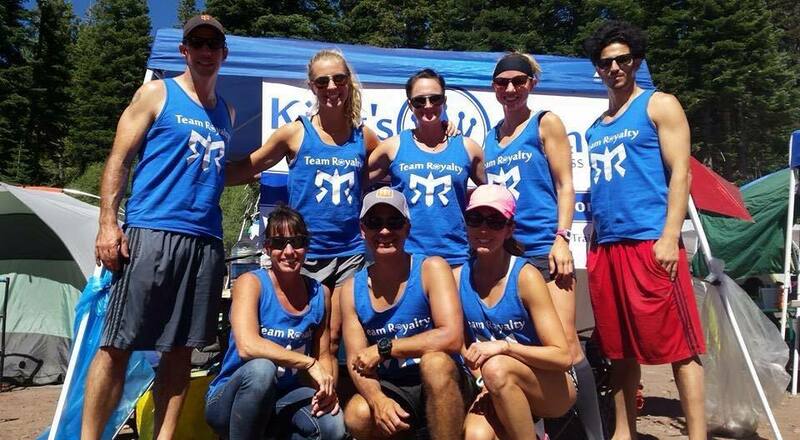 While there were times members of Team Royalty expressed they were not interested in doing a Ragnar Trail Relay again – likely due to the demands of the event – all have indicated they would return for another go. Team Royalty finished 7th overall. 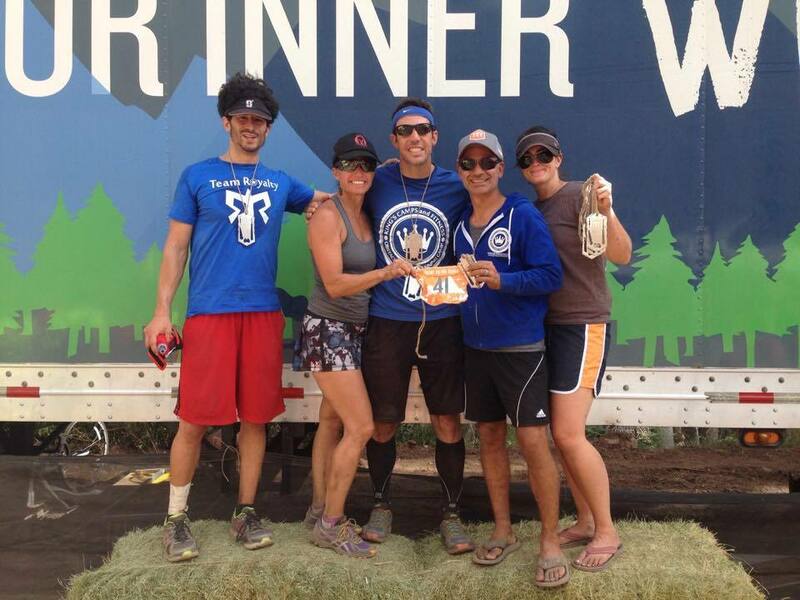 For a video recap of the event as a whole, check out the following Ragnar published video.